Okay. Maybe I’m a broken record, Save Jerseyans, but this isn’t something that MOST of this website’s readership doesn’t think on a regular basis, and it’s also pretty damn, important too. 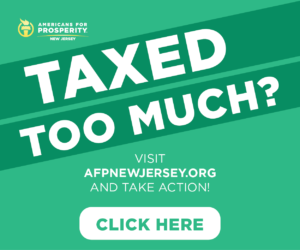 I’ll cut to the chase: when will New Jersey Republicans get down to the business of advocating limited government? Government that lives WITHIN its means like the rest of us do? Case in point: on Tuesday, state Senator Gerry Cardinale (R-39) promoted his legislative effort to improve upon Governor Murphy’s effort to create an “Office of International Trade and Investment” for New Jersey’s 1,100 multi-national businesses and 270 corporations with foreign headquarters in the Garden State. You may think this is a lovely idea, or at least relative to the thousands of terrible, no good, very bad ideas which Trenton belches out on an annual basis. Cardinale is a pretty conservative dude. I’d take him for Governor of New Jersey over Phil Murphy in a heartbeat! But is any of that really the point? Assuming, of course, that we accept the accurate premise that Trenton CANNOT be saved unless the decade-and-a-half old Democrat legislative majority is dislodged? And people who actually understand the value of a dollar and the difficulty of paying bills/running businesses in this state are back at the helm? 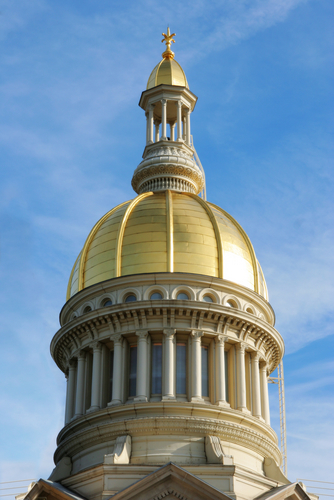 Are young professionals, business owners, and retirees fleeing New Jersey because international businesses are having trouble liaising with state government? I’ll never understand why that’s the case. I’ve knocked thousands of doors like many of you over the course of countless campaigns. I’m a real person who pays taxes. 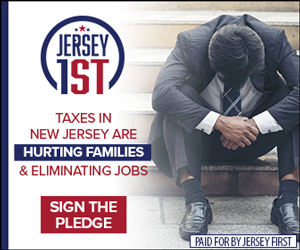 My family, friends, and clients are real people, too, and most persuadable voters in any given pool of GOP-targeted voters can understand the cognitive dissonance at work here; average taxpayers are forced to tighten their belts but Trenton never, ever does. So why not propose eliminating the useless Department of Community Affairs? Merging some agencies with others? Taking a red pen to the budget and identifying the waste, excess, and many redundancies we all know are there? And costing us money? My inbox IS full of GOP bills to rename roads, designate official state dogs (the pet project of another GOP Senator, Anthony Bucco of Morris County), or, at best, vague references to the very-real “affordability” crisis. #1 is off-base. Yes, plenty of people hate taxes but like free stuff. Duh. But guess what? Most of the people who like free stuff are either (1) not paying much, if anything, in the way of taxes, or (2) they’re yuppies and rich people who can afford to vote their leftist cultural values instead of their wallets. Said another way: they’re not our voters. They may vote for us from time to time, but there’s nothing we can do on the legislative front to make’em like Republicans. Why cater to them? And #2 is just downright depressing. It’s another way of saying “we give up.” You can’t build the movement necessary to lay the groundwork for a taxpayer revolt without first articulating a clear, bold, alternative vision which communicates to voters that things NEED NOT BE AS THEY ARE. Reject the premise. Don’t give the other side of the aisle an inch; forgo short term gains and a fleeting, favorable press hit for the chance of a future, ultimate triumph. 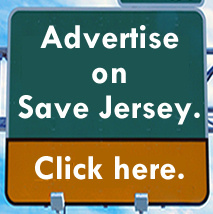 My goal isn’t to pick on anyone, Save Jerseyans. Nothing’s changed since Reagan other than our present lack of a Republican leader who is willing or able to make that argument. It’s probably the reason why the crisis never abates in states like New Jersey. Previous Previous post: Did Sherrill and Van Drew get snubbed by Obama? Or did they snub him?